Every year the first important show for consumer electronics is the CES, the Consumer Electronics Show, in Las Vegas. Las Vegas is one of the few cities in the world that has so many hotel rooms that it is no problem to house a show with 200.000 visitors plus thousands of exhibitors and regular tourists. 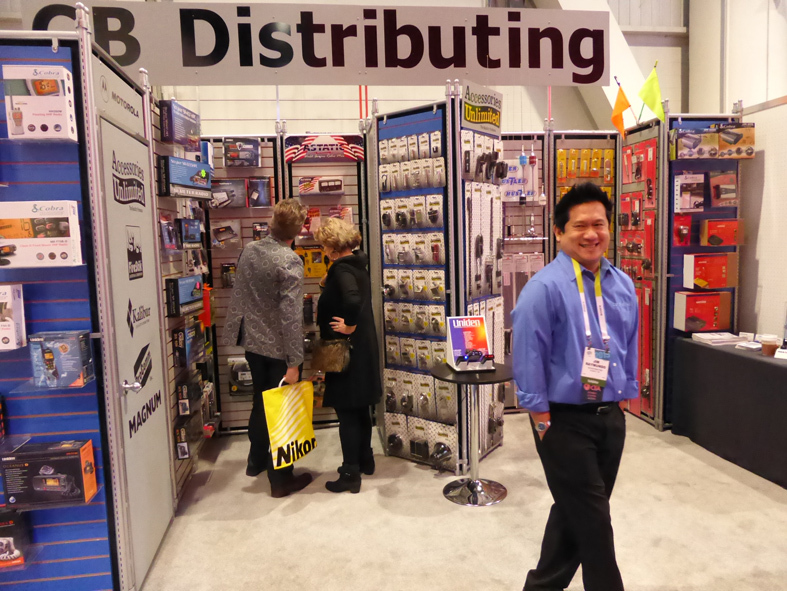 At the Hong Kong version of CES you will find much more suppliers for communication equipment than in Las Vegas. But at CES some of the brands have a more impressive booth than in Hong Kong. 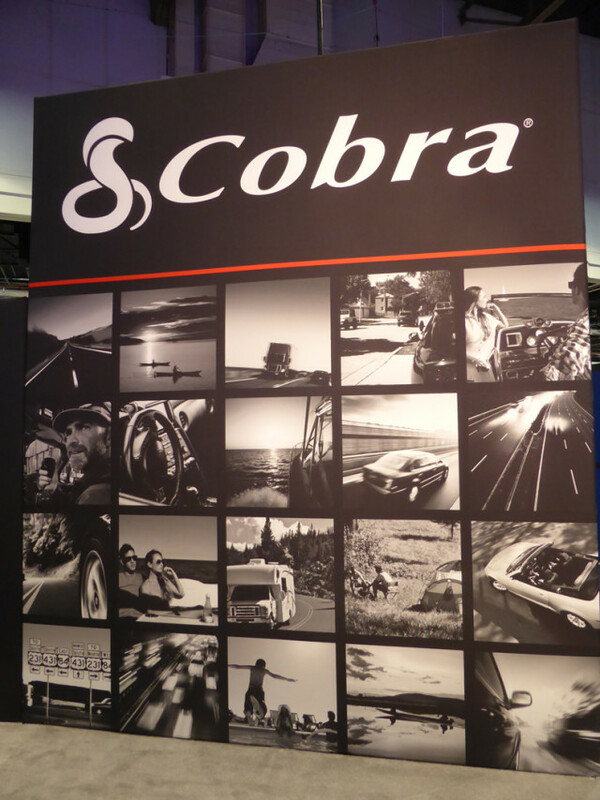 Each year at CES, Cobra has an impressive booth. End of last year Cobra was sold to an investment company. That companies also purchased BELL, a big name in radar detectors. Within the industry there is a lot of speculation how long it will take before they will make it one brand and most of all: which brand will win the battle? 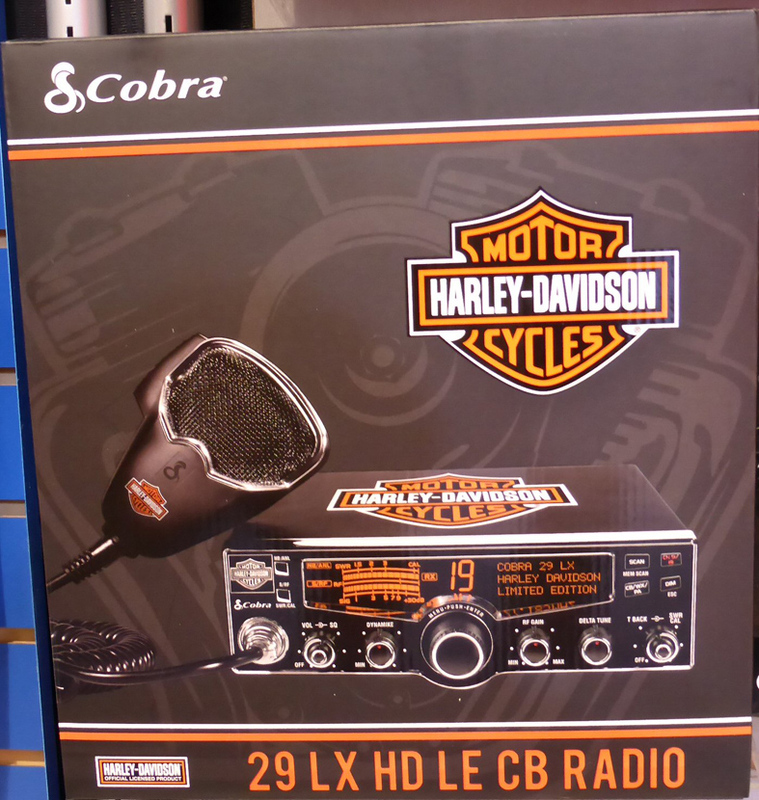 For the American CB market Cobra took the Cobra 29LX and turned this model in the 29LX HD version. For Harley-Davidson freaks a must have in the car or on the motorbike. 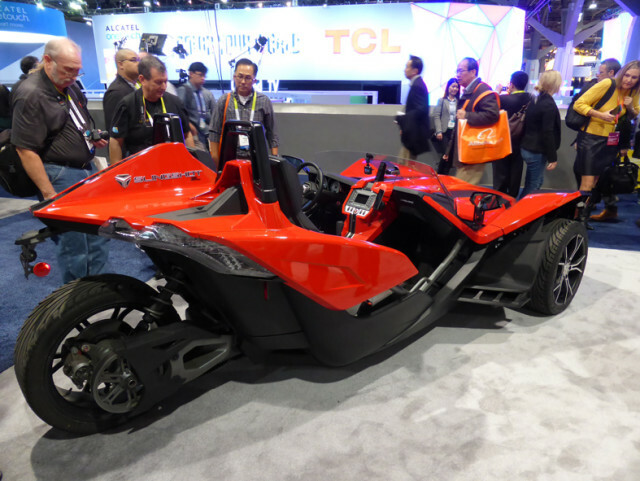 Cobra is leading on the CB market in USA, but at CES they did not show many models. Let us hope they will have real news on CB next year. 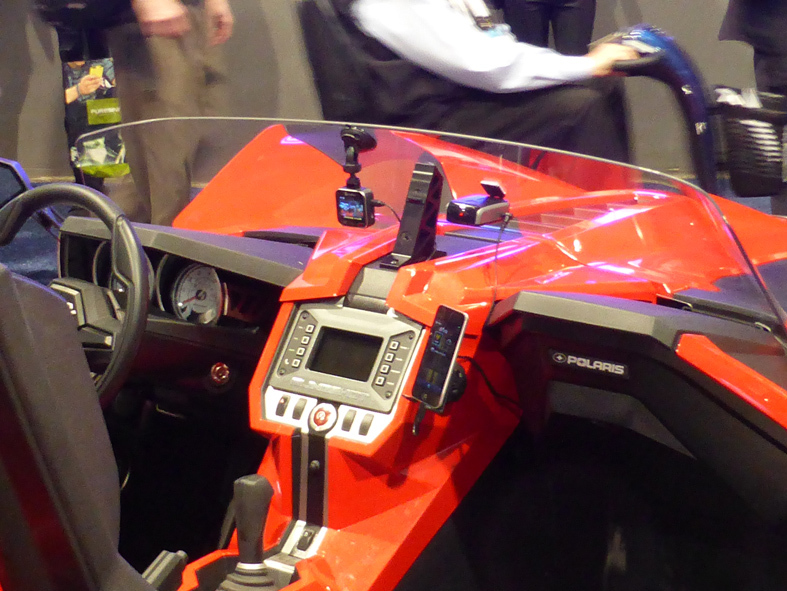 New for USA marine market is the HH500 FLT BT. Expected is that a similar model for European market will be introduced soon. 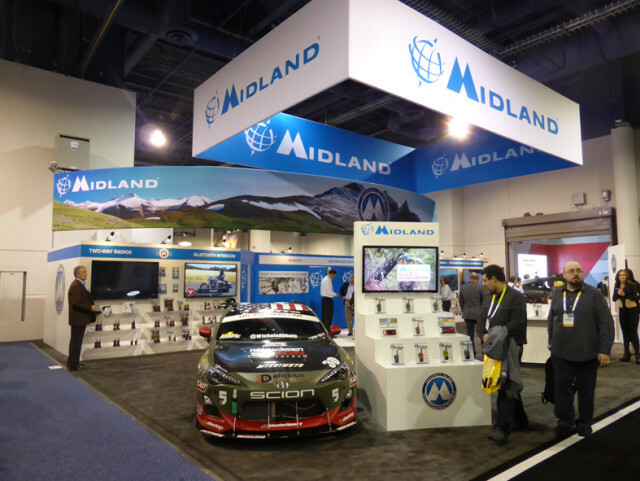 Midland Booth at CES, displaying CB, Action and Dash Cameras, GMRS/FRS and Blue Tooth applications. Midland USA is the number 3 for CB in USA. But they are leading for action cameras and GMRS/FRS, this is a quite similar standard as the European PMR446 regulation. 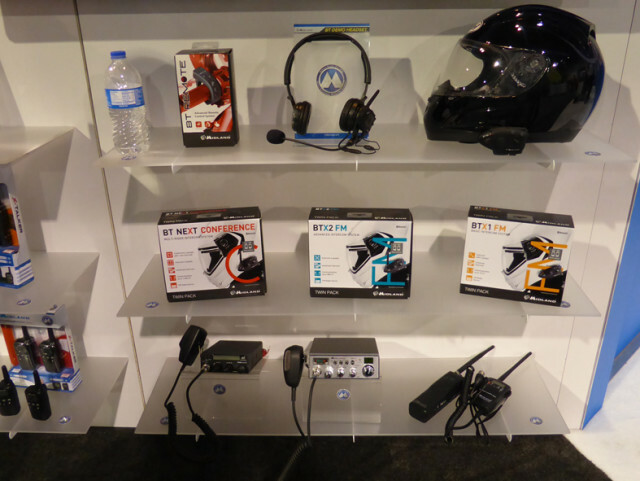 Also the Blue Tooth applications for motor bike drivers are very popular in the USA and Europe. Blue Tooth applications from Midland, quite similar to European series. 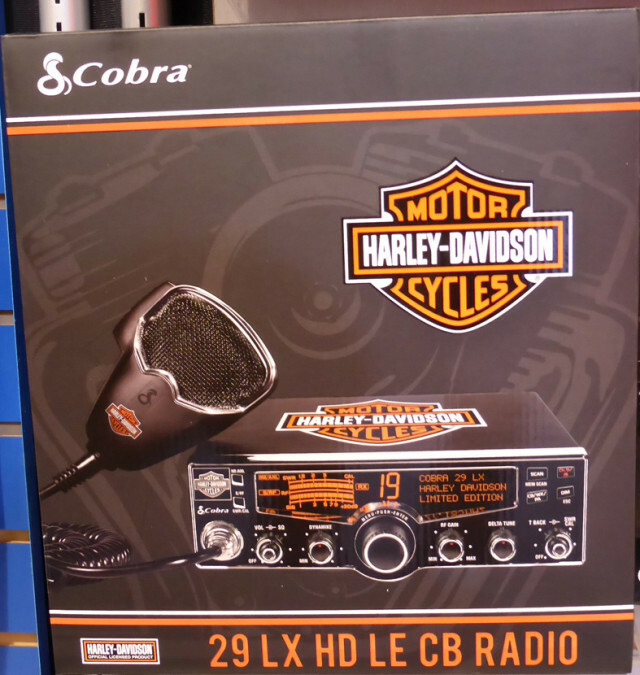 On bottom a few types of CB Radio. At CES Midland did not show many CB radios, they gave more attention to Blue Tooth products and Action and Dashboard Cameras. 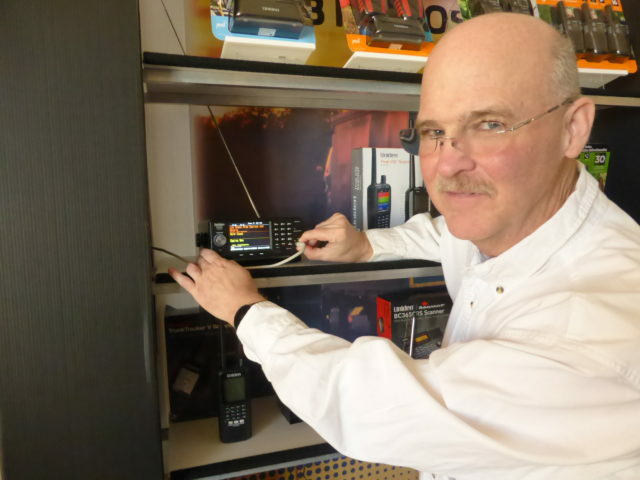 In Europe we have PMR446 portable radios. For us it is not allowed to have mobile versions of PMR446. 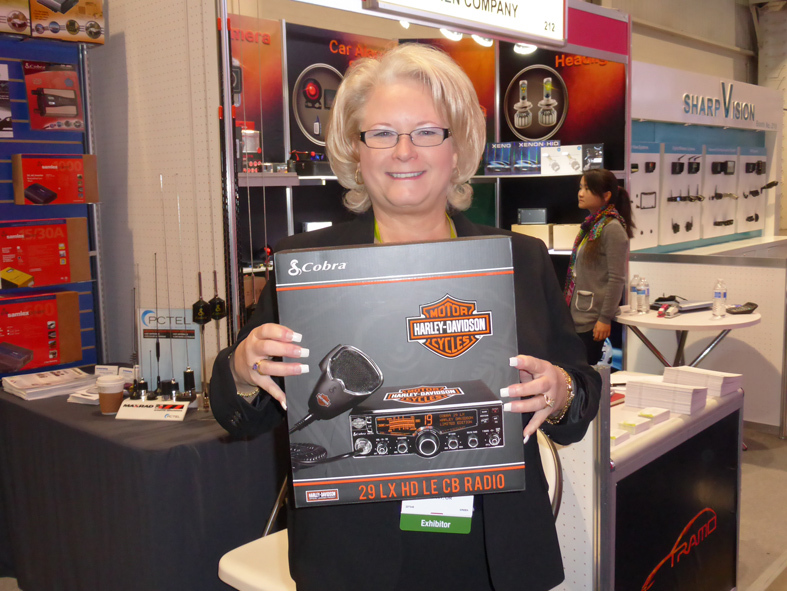 In USA Midland introduced at CES a new mobile GMRS radio. 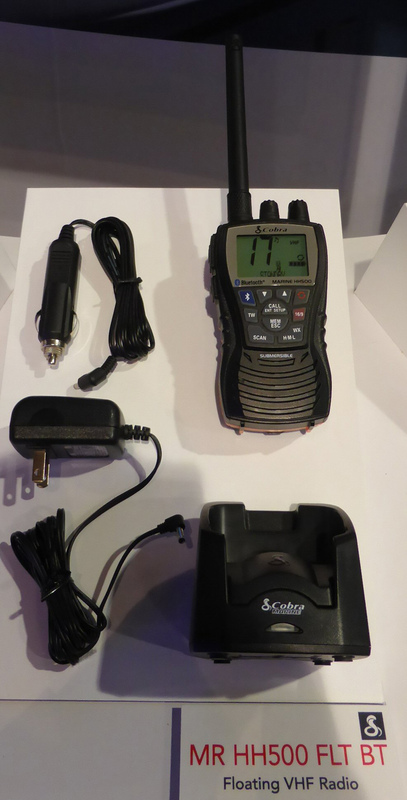 It is a very compact radio and we can only dream about changing the European standard for PMR446. 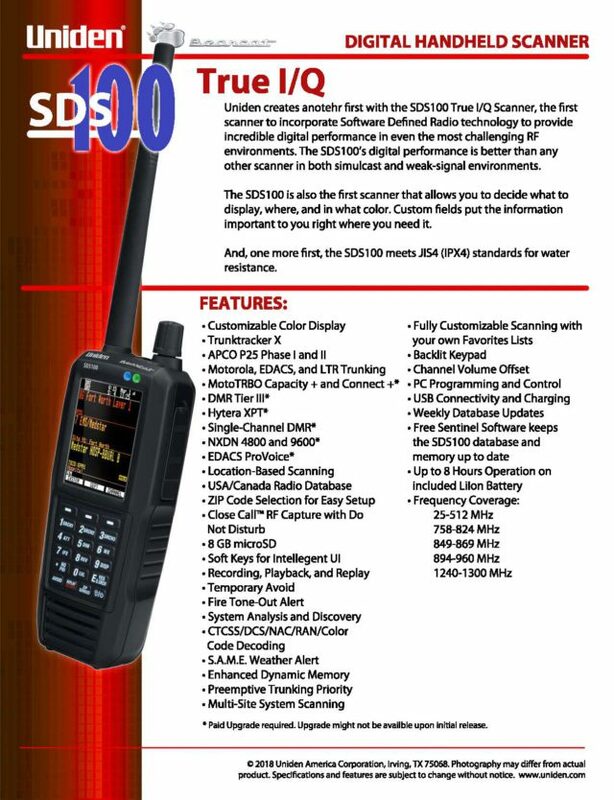 Uniden is the number 1 in USA for scanners and number 2 for CB. But since some years they have no booth at CES. The sales persons are available at CES to talk to customers but not on their own booth. For the industry it would be great if they decide to have booth at CES again. But you can find Uniden products at the booth of CB Distributing. These people are always present with a booth to meet their customers from the West coast of USA. 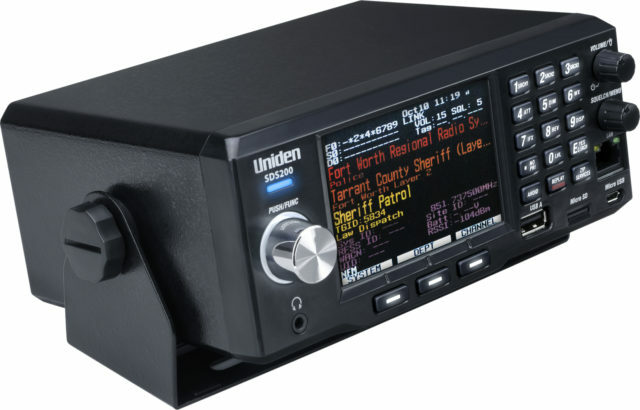 CBD showed from Uniden two new radar detectors. These were brand new on the market. But also the new Cobra 29LX HD could be seen at the CBD booth. GRE used to be the number 2 for scanners in USA. Over 1 year ago they went bankrupt and were purchased by Whistler. 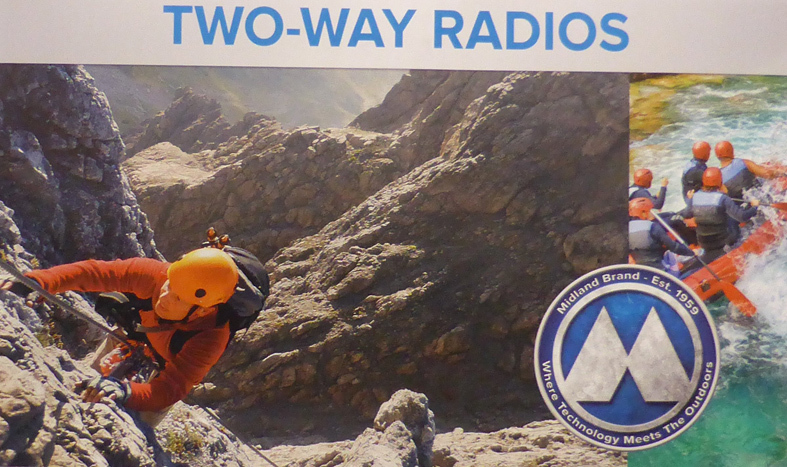 Whistler is still using the brand name GRE and they still are 2nd on USA scanner market. Some models are also available on the European market. 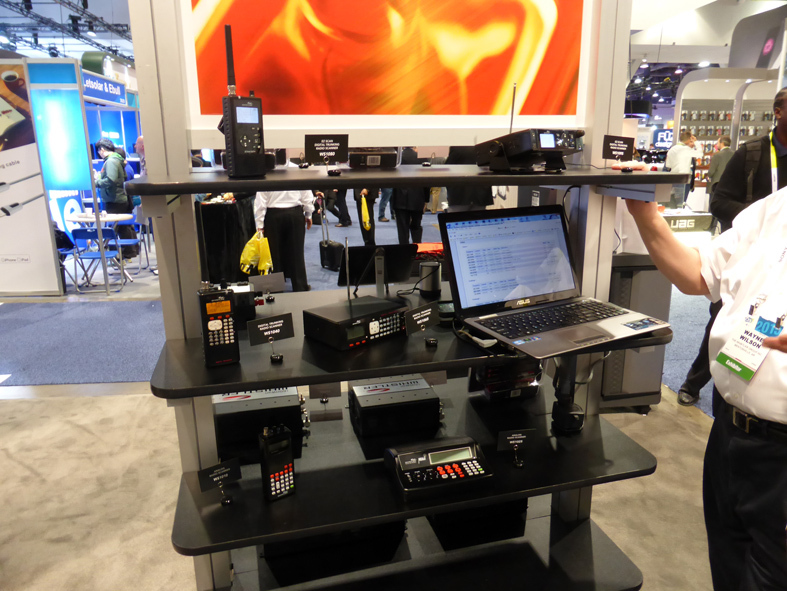 But on European market Uniden is by far the most popular brand for scanners. 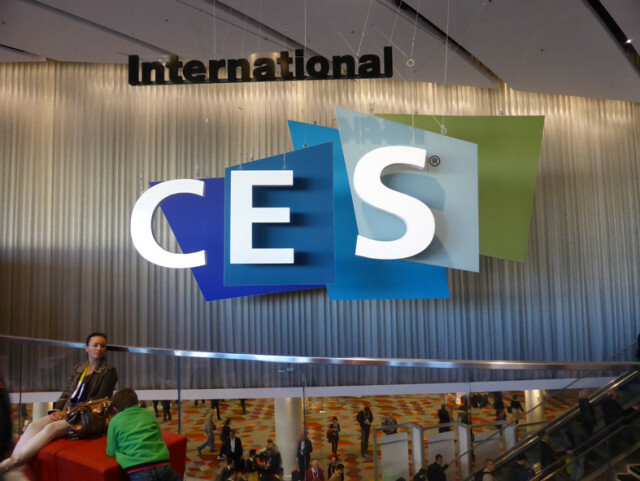 At CES you find a large variety of all kind of consumer electronics. 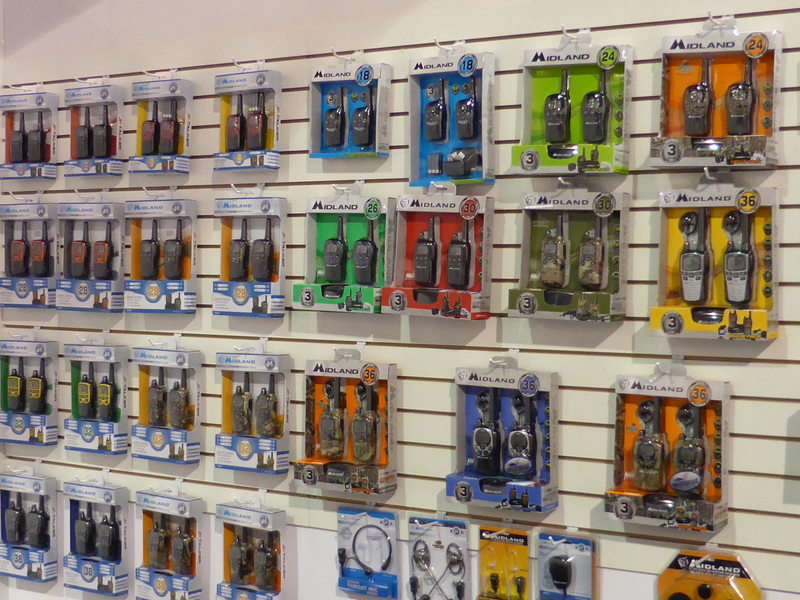 Consumer communication products are hard to find at this show nowadays. But for those interested in electronics it is a unique show in a unique city.